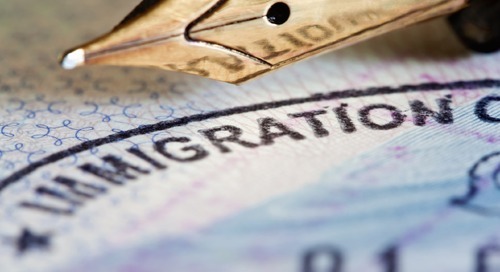 The immigration process can seem overwhelming, confusing and time consuming. If your company has never sponsored employees before, the idea of doing so can seem even more intimidating. With so many specific laws and requirements surrounding the immigration process, it is a great idea to seek out an immigration service provider to assist you along the way. A service provider offers you help with paperwork and application filing, connecting with the right government agencies and more. Before you sign on the dotted line with a provider, here are a few questions to consider. Typically, most employers want to know if they will need an attorney. While an attorney is not absolutely mandatory to sponsor an employee, it is a very wise decision to use a lawyer’s services during this process. If you don’t have a legal department in your business, then look for an immigration service provider that offers legal counsel. Is the provider secure and reputable? During the application process, sensitive personal information will be shared with the immigration service provider. It is important that the company and their data security procedures are trustworthy. Many firms are still using email to pass sensitive information and documentation back and forth. This is highly insecure. Look for a partner with a transparent policy regarding data protection. Here is a security guide and checklist to consider. Do they offer technology or immigration management platform? Some immigration service providers offer other services to help you save time, money and stress. Some may have technology with a simple questionnaire and tools that make uploading and sharing documents easier and more secure versus email. Others may have a more comprehensive technology or an immigration management platform that will guide you and your employees through the whole process. These platforms have intuitive questionnaires and forms, document storage, communication centers for direct conversations with attorneys, timelines and case notifications, tracking and management of deadlines, expiration dates and renewals and budgeting and forecasting tools. It’s important to get a demo of their technology to see how robust and helpful it will be. Any time any company has a complicated pricing structure that makes it hard to estimate exactly what you’ll be paying, you may want to steer clear of their services. Some providers will claim flat fee pricing for cases but this does not include weekly or monthly status reports or calls, complexity support, or employee or HR questions to attorneys. Make sure you understand all of the fees that are covered under the “flat fee” and ask specifics around retainers, calls and questions. Can the company handle your needs? At the end of the day, you’ll need an immigration service provider that can be there for you. Look for information on average response times and issue resolution times to get an idea of how well the company can handle another account. Do they know their stuff? Finally, the last part of vetting the right immigration service provider is to look for a company that knows immigration. It isn’t always about parroting laws, but also about helping you understand strategies and tactics that will be best for you and your employee. 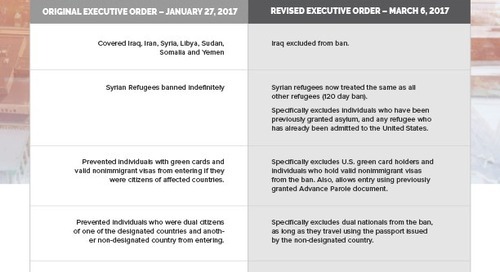 Check out our resource center to start gaining a better understanding of the immigration process. With some services, you can afford to cut corners here and there, as long as the job gets done. But with something as serious as immigration, you need a company that really has the total package. The best immigration service provider will be knowledgeable, fast to reply, secure with data, offer expert legal advice and provide additional value each step of the way. Explore our services and solutions to learn how we can meet your immigration needs. The post 6 Questions to Ask Before You Find An Immigration Service Provider appeared first on Envoy.